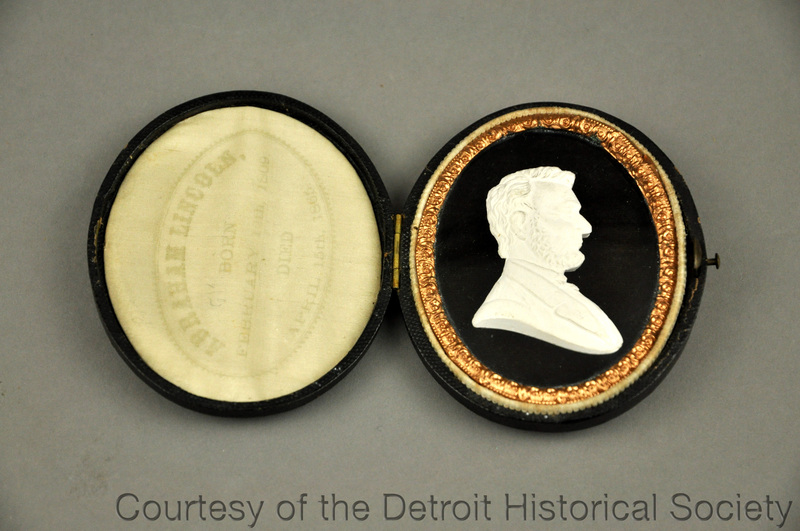 Plaster bust relief of Abraham Lincoln in profile, on black velvet inside of a oval-shaped leather case. The relief is surrounded by a gold metal frame and covered with glass. "Abraham Lincoln, born February 12, 1809, died April 15, 1865." is printed inside of the lid.